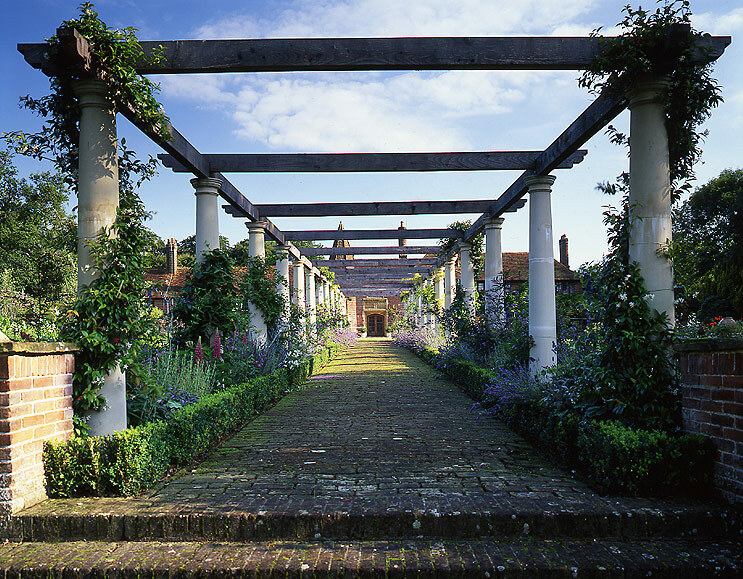 The grounds of this beautiful country house of mellow red brick already enjoyed some beautiful areas, some of which had originally been designed by the celebrated Gertrude Jeykll. 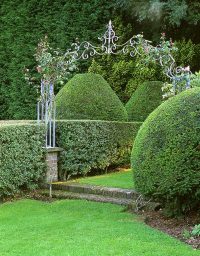 Our clients wished to enhance and bring back to life recently discovered parts of the garden including a sundial garden. 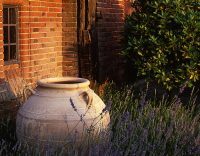 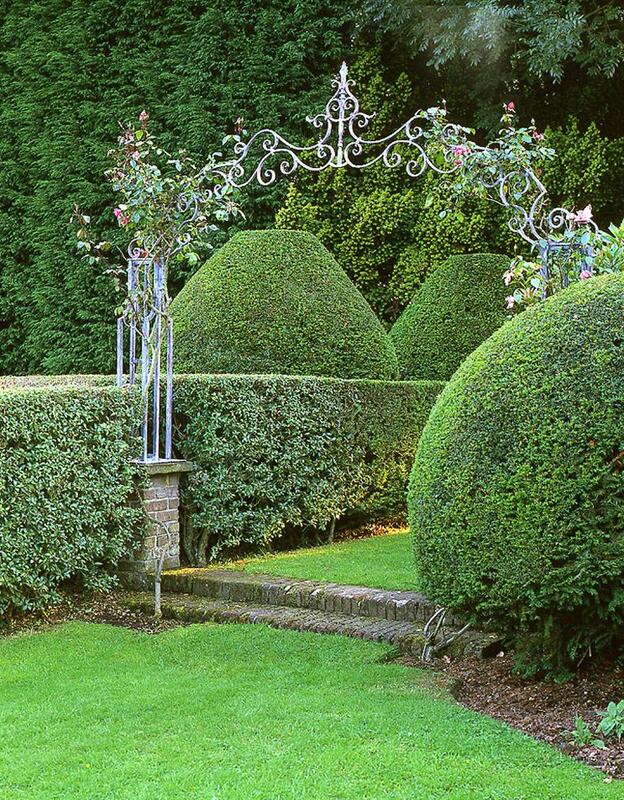 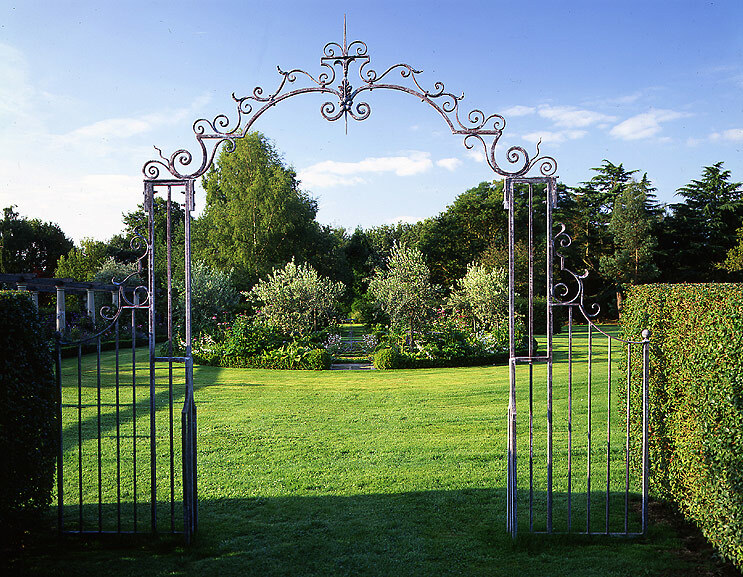 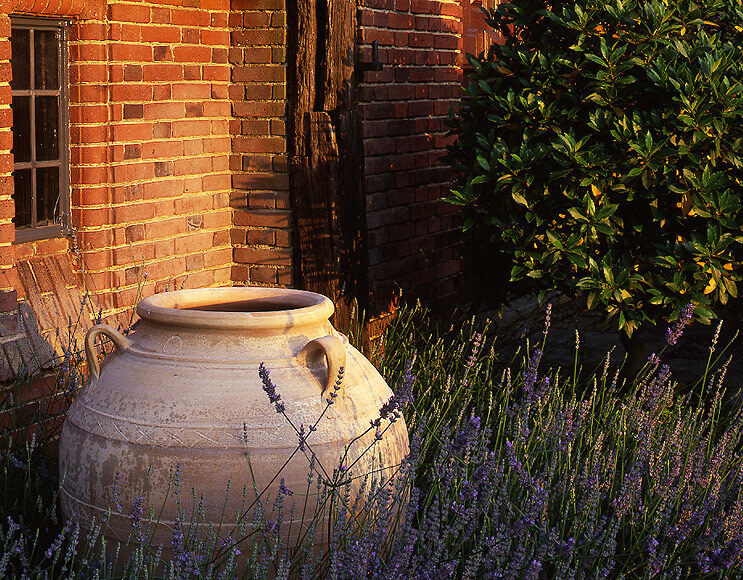 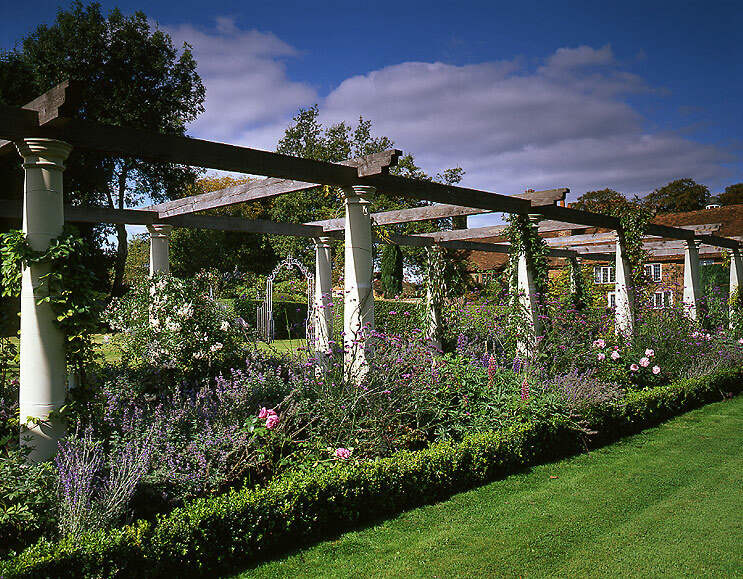 Our brief was to design the garden to blend harmoniously with the house, existing mature parts of the garden whilst also bringing renewed energy and beauty to it. 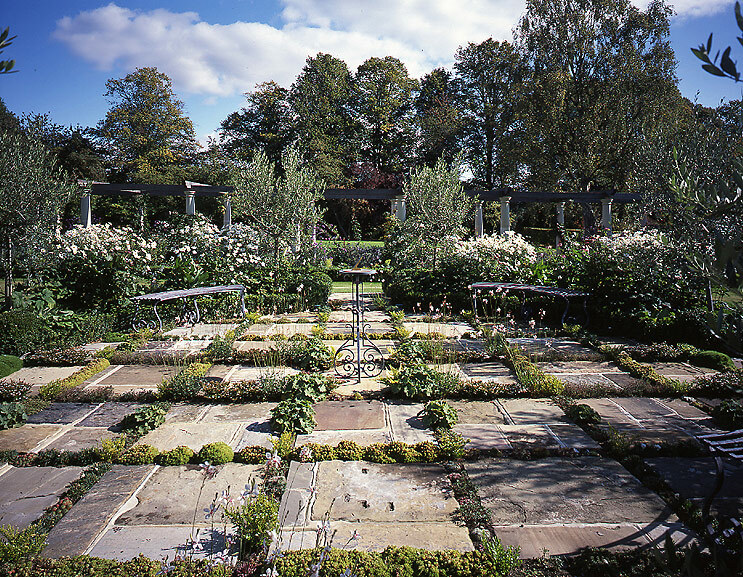 The new areas designed and constructed include a Pillar Walk, a large circular stone pond and a Courtyard garden. 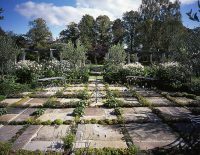 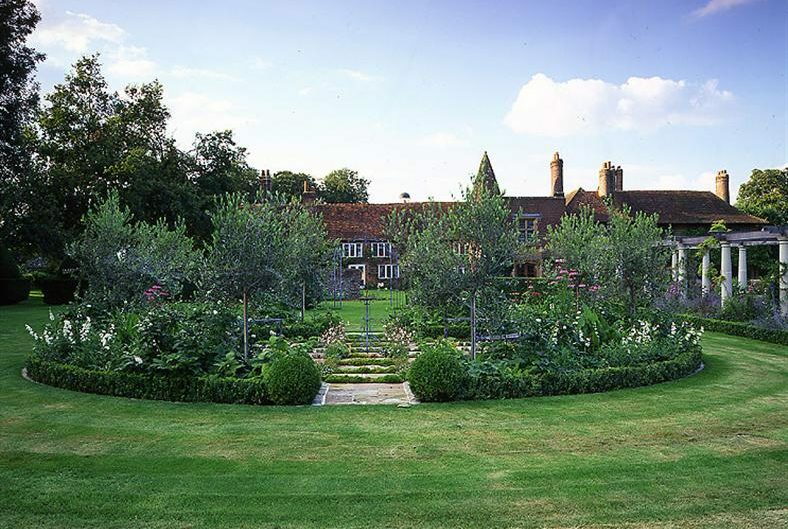 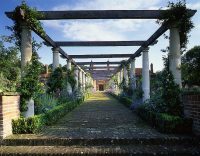 Another exciting aspect to the design of this garden was uncovering an original sundial garden and then researching its history to enable us to bring it back to life. Skilled artisans including masons and a blacksmith have faithfully copied and reproduced rose archways, ornamental gates and a sundial.